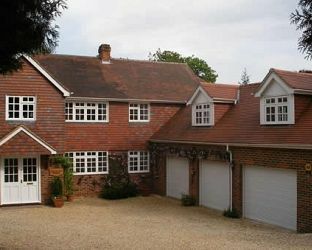 Orchard House B&B is perfectly situated in a tranquil area of Winchester yet only a short stroll from the city center. Winchester Cathedral, Winchester College, and the Water Meadows are all close as are numerous bars, eateries and shops. The B&B comprises of: a double room with en-suite and an luxury suite (which can be used as a double or twin). Both rooms have satellite TV and Wi-Fi web access and there is free private off road parking and secure cycle storage. A full English breakfast or continental breakfast is included in the price. Visit Winchester Hampshire and the surrounding villages and stay in b and b, hotel or holiday home accommodation provided by BedPosts members. Winchester, Hampshire, is a city with population 42,000 and was once capital of England. It is in the South Downs, on the western side. Its history goes back to the Iron Age and was settled by the Romans. The historic Cathedral is a must-see. If you seek accommodation near Winchester in Hampshire you have come to the website of a “club” of providers who offer affordable quality accommodation around UK in hotels, bed and breakfasts, guesthouses, inns, and restaurants plus self-catering cottages and apartments .